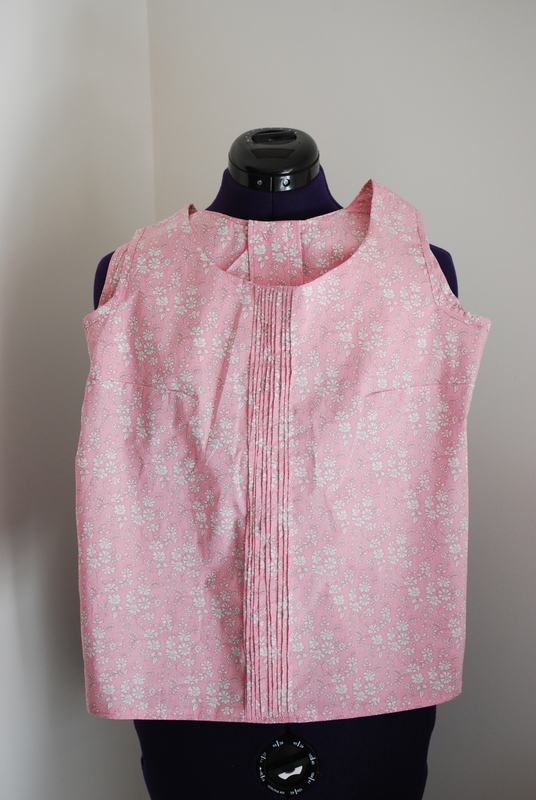 A dress was the next item to sew on my never ending list of things I want to make but as it is a fairly fitted dress I need to wait a couple of weeks to make sure it fits the ‘non feeding baby’ me so I instead bumped this lovely blouse up the list. 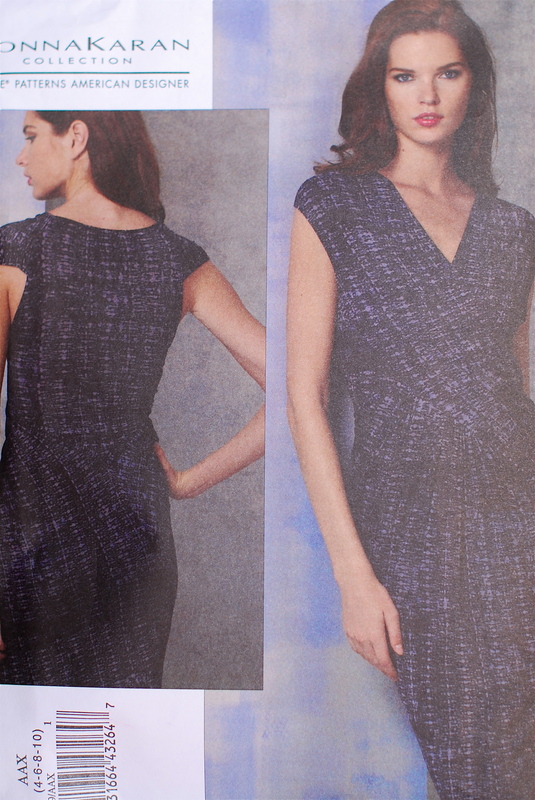 The pattern is the lovely Violet pattern from Colette Patterns (what a surprise I hear you say!!) 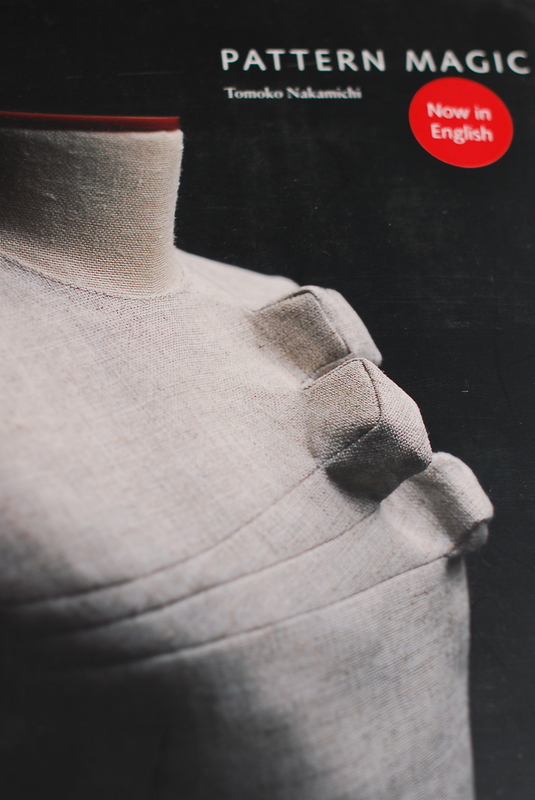 and it is a blouse with peter pan collar, bust darts and a back yoke with some gathering. It is described as a “gentle loose fit”. I was a little unsure how the blouse would suit me – as loose fitting tops and jackets don’t always work that well – they can end up looking a bit boxy – on me but as I loved the detail of the collar I thought I would make it up as drafted, thinking that if it really looked too boxy I could always add some darts to the front sections and the back to make it more fitted. 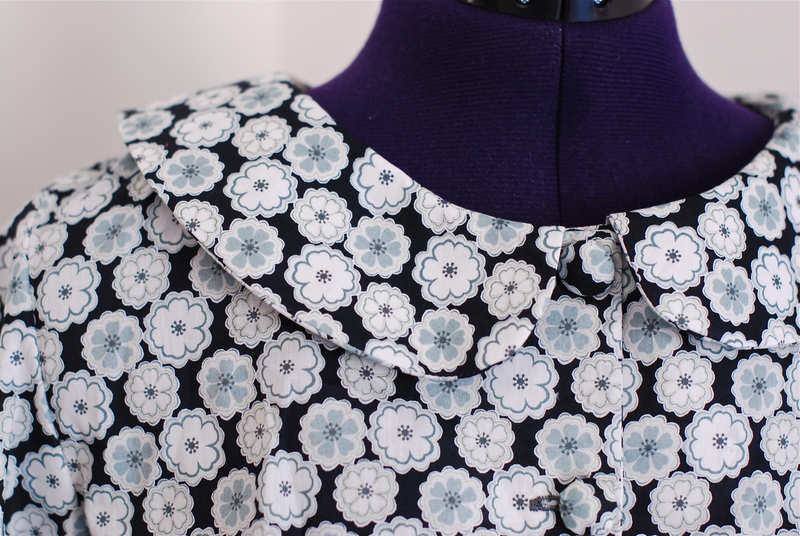 I choose a Liberty print for this blouse thinking that the collar would probably benefit for being made in a fabric that draped well rather than a stiffer quilting fabric. 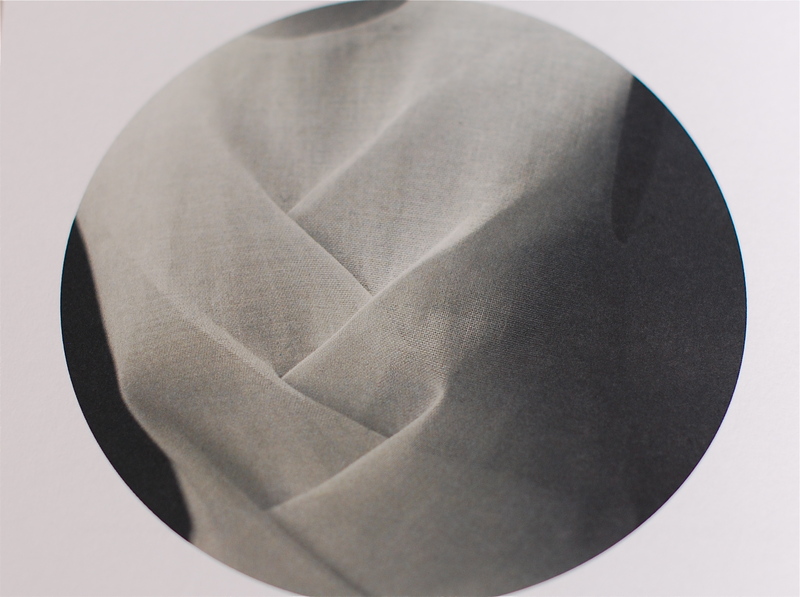 The pattern has two sleeve variations – a short sleeve and a longer sleeve gathered at the hem with elastic. I made the three quarter sleeve version and used lace bias around the sleeve hems to case the elastic. At first I thought the sleeves were a little too full but they are slowly growing on me and actually I think it is , in part, the fullness that adds to the originality of the design. 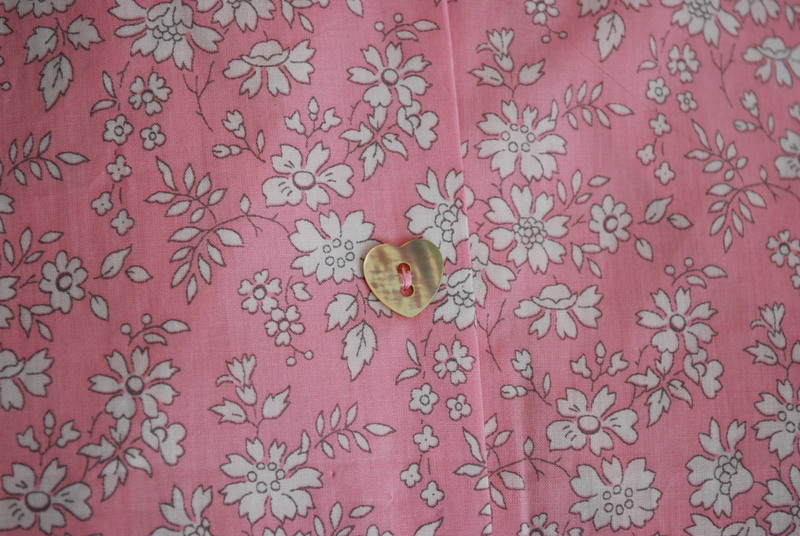 As I struggled to find buttons that went with the fabric I ended up covering some with the same fabric – and for the bottom button I used a plain flat black button so that I can tuck the blouse in without having the button stick out (the covered buttons do stick out somewhat). The only slight variation I made was to lengthen the blouse a little to ensure that when tucked in that is where it would stay! As with the other Colette Patterns I have sewn up this pattern and the instructions are great and I have already cut out another one ready to stitch up! 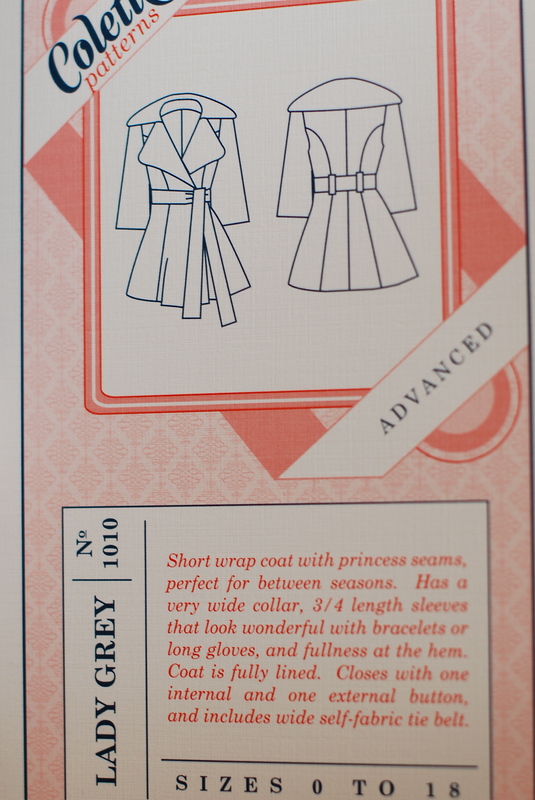 I’d also like to try one with pin tucks as shown on the Coletterie…and maybe one with a lace overlay collar too…..oh! so much to sew and so little time!! You may have noticed, if you read the post about the black jacket, that the fabric of the skirt showing was the same as the fabric for this dress. Yes, the dress that I started to make just before Christmas for Christmas day…..that I then promised myself I would finish for New Year….and when that didn’t happen it got stored in a cupboard until this last week. 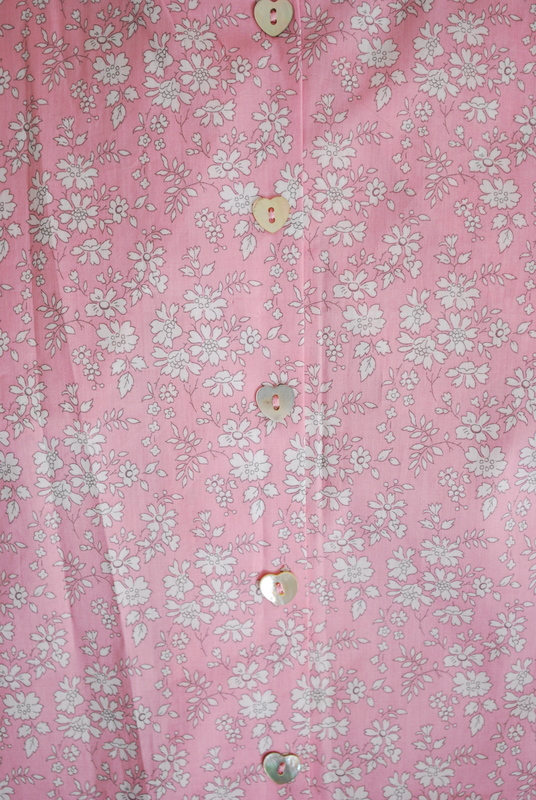 This week the challenge of the week on The Sew Weekly was “Buttoned Up: to make something that calls for buttons (regular or special)”. When I read that my first instinct was to pull out the Beignet pattern again. But I really don’t need another skirt at the moment and I also really don’t need to start yet another project before I finish off some of the things that I have already started. So putting buttons to the back of my mind I pulled out this nearly finished dress and decided to complete it. All I needed to do was add the sash belt to tie it around the waist and do the hem. I had originally thought that I would make the belt in a contrasting fabric to add a bit of colour but I had nothing in the cupboard that looked right. I then stalled…adding a belt in the same fabric didn’t really appeal – too monotone – and too bulky as the houndstooth fabric is a wool mix and although fairly light and drapey adding several layers around the waist seemed a recipe for, well, a thick waist….and then I hit upon adding buttons – perfect. I had three green buttons left from my denim beignet and so made a button hole at the waist of each front bodice section and a further one between the bust where the front bodice sections cross over (to be on the safe side). As I wrap the dress right side over left (still with me?) 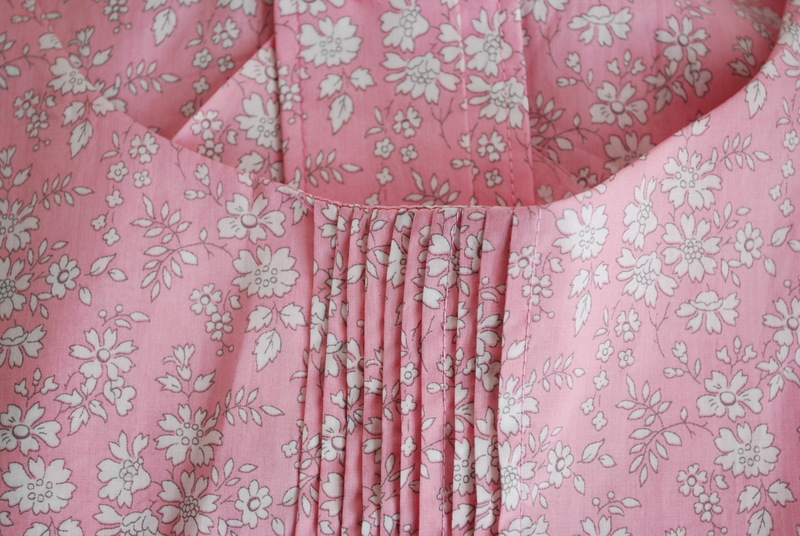 I sewed the first button on the inside of the right side of the bodice at the waist, the second on the outside of the left bodice section at the waist and the third to match the third button hole. 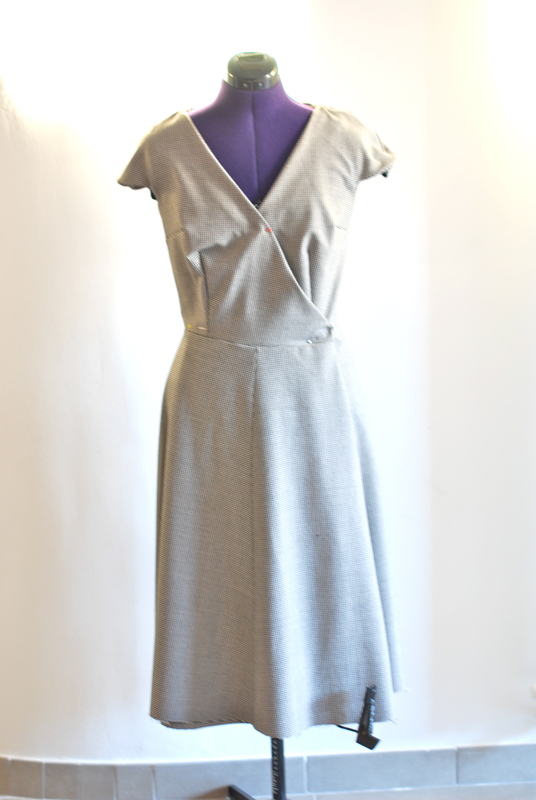 I have also posted about this dress over at The Sew Weekly and you can check out that post here. I’m not normally one for lots of new year’s resolutions (or, to be honest, any) but this year, for some reason, I have jumped on the bandwagon. Most years I have made some feeble attempt to think up at least one resolution just because I felt as though it was the thing to do and usually it has been left by the wayside by about mid January. This year though I felt differently. Littlest boy is now two months old and so the new year coincided with me wanting to get some kind of me-life back. I also decided that I needed some focus for what I want to do this year and also, coincidentally, for this blog. 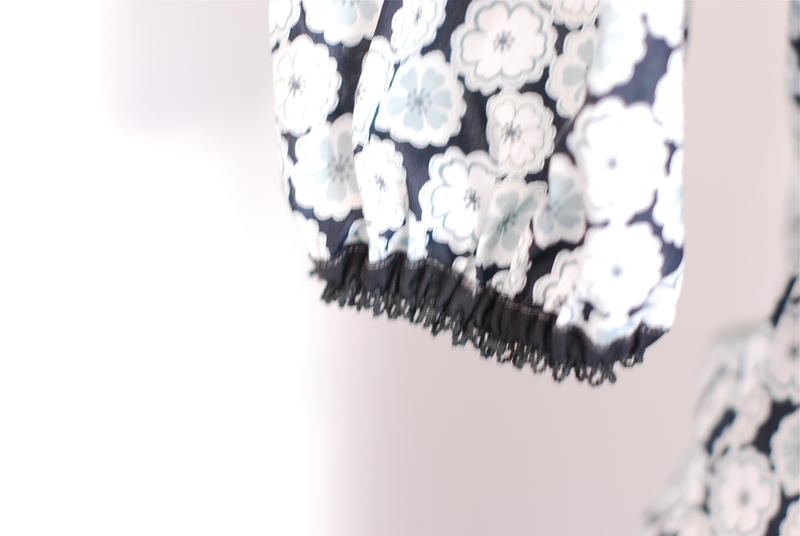 I started out blogging to document my sewing and I have decided that I am going to return to focus primarily on sewing on this blog. I will still include some cooking but my other main interest, photography, now has a blog of its very own – you can find the link at the top, up there just under the blog heading. I set up the separate blog as my first resolution for this new year is to improve my photography and this new blog is a place for me to document my adventures in trying to achieve the perfect shot! 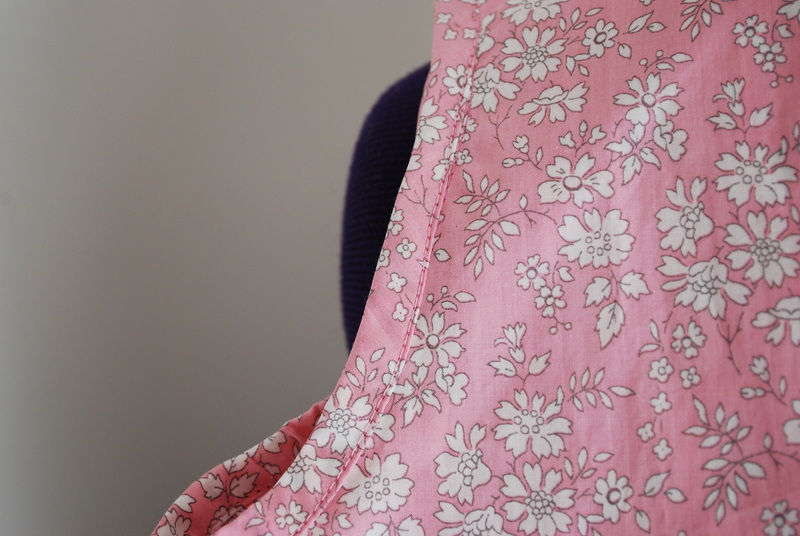 So, as I said above, this blog is going to focus mainly on my sewing – and to that end I have a plan. I have chosen 10 projects that I aim to do this year. The projects vary from learning new techniques, attempting a pattern I have been putting off making, to sewing for others. 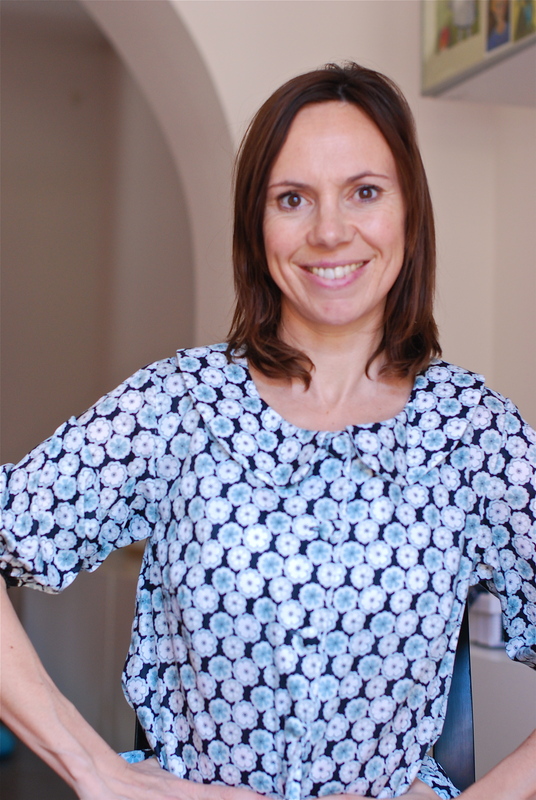 I have chosen each project with the aim that my skills improve over the coming months and with the idea that I stretch myself technically and artistically (don’t laugh!). Some of the projects are more complex than others and that is intentional. Some will take me longer than a month and some (I hope) will take just a matter of hours. In choosing this mix I hope I am being realistic – with four young children it is unrealistic to think that things won’t crop up that will limit the time I have available to sew (without even mentioning school holidays). So here goes (at first I was just going to introduce each project as I got to it throughout the year but then I realised that that would be cheating – as I could (and probably would) very easily modify them as I went along…). This way I can be held truly accountable! I probably should mention now that I have listed the projects in no particular order – in other words I will not necessarily do them in the order listed below – in fact it is almost certain that I will do the easy ones first!! You will also notice, if you are paying attention, that some of the projects overlap (the Donna Karen dress for example could very well be part of my spring/summer capsule wardrobe). I make no apology for this and in fact it has been intentional so as to make this resolution realistic. The Sew Weekly challenge. There, now I’ve said it. But don’t be fooled, I am not completely unrealistic! I have signed up to be a contributor but in the full knowledge that sewing a new item each and every week is going to be a stretch too far. Project One therefore is to do at least one of the Sew Weekly challenges each month that I photograph and contribute to the Sew Weekly blog. 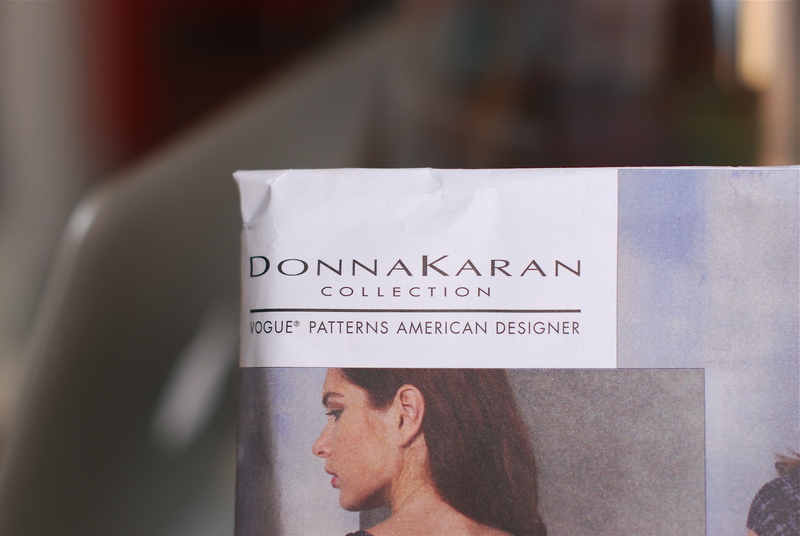 Donna Karan V1159. I have had this pattern for a couple of years now and have even had the pattern cut out for at least a year. All I need now are a couple of metres of two way stretch knit… Project Three. This year I am, finally, going to sew something for my husband. I’d like to think I will manage a shirt (Negroni?). A capsule Spring/Summer 2012 Wardrobe. As I did with my Late Fall Challenge I would like to create a capsule collection of garments for Spring/Summer focusing on fit and wearability. I bought this book towards the end of last year and have picked out two (of the more straightforward) techniques that I would like to try. 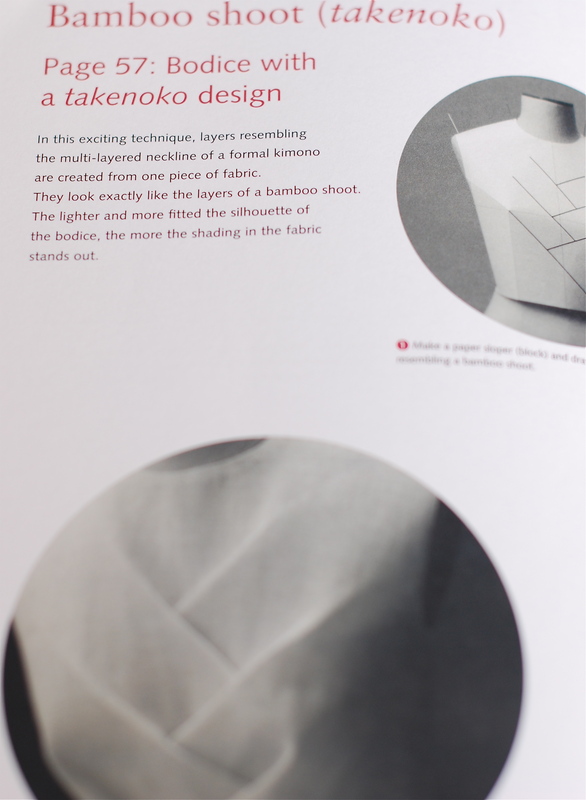 Firstly, a bodice with a bamboo shoot design. Project Six. 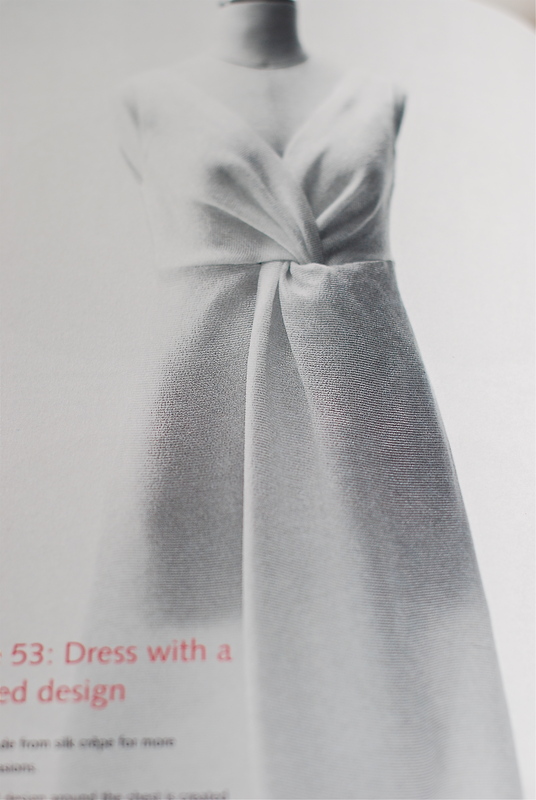 A dress with a draped design. Lady Grey. Another pattern I have been hoarding for a while. I need a mid season jacket and this will fit the bill perfectly. Project Eight. 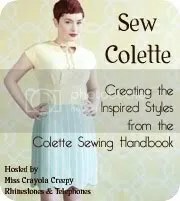 The Colette Sewing Handbook challenge. 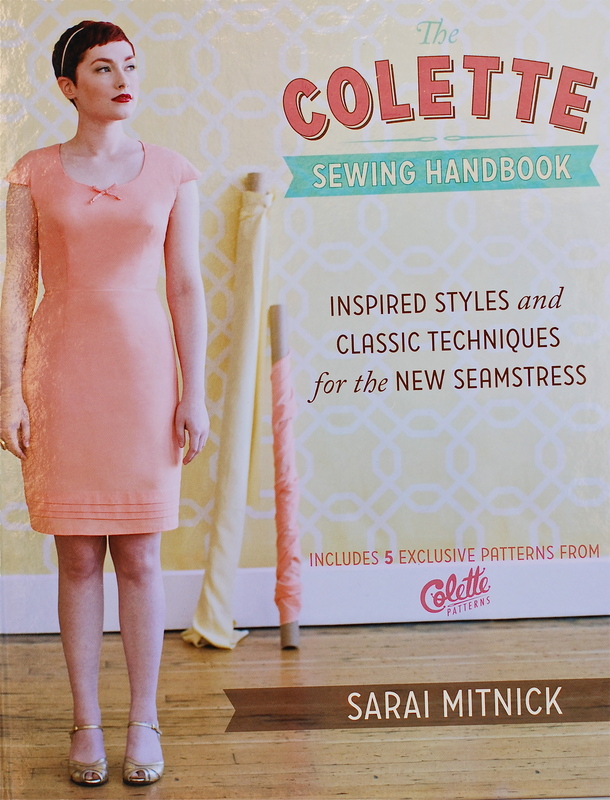 This year I am hoping to sew up each of the five patterns included in the Colette Sewing Handbook. Project Nine. 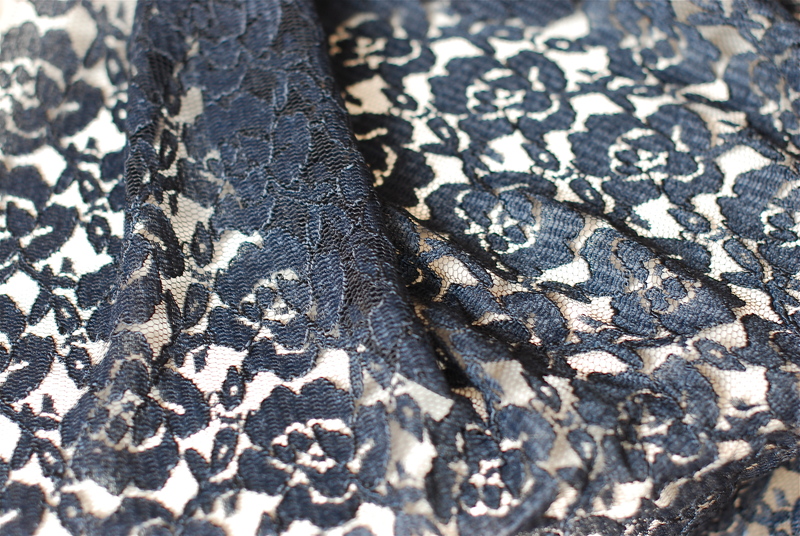 This lace fabric. It has been in my stash for too long now. It has to be made into something. This is its year. Shirts and shorts. I have two girls and two boys and there has been a severe one sidedness when it comes to sewing for my children. This year I will make it up to the boys! Et voilà! Now I just need to set to! What are your plans for this year? Looking back over the last year, sewing wise, it has been a year of stop, start, stop, stop, start. After ending 2010 on a bit of a high after finishing my coat (which still remains, I think, the most favourite thing I have ever made) I made a slow start to 2011. We had building work to finish and rooms to decorate which left little time to sew and then there was also the fact that I knew that we were expecting a little arrival in the autumn which meant that during the early months there was little desire to spend time making things that wouldn’t fit for long. The same applied from the end of the summer until I got back on my feet after littlest boy was born. However, trawling back through the photos of things that I did make this year (some blogged and many others not, but that’s for a different post), I have pulled out some of the things that, for one reason or another, I think merit inclusion in a round up of the year. 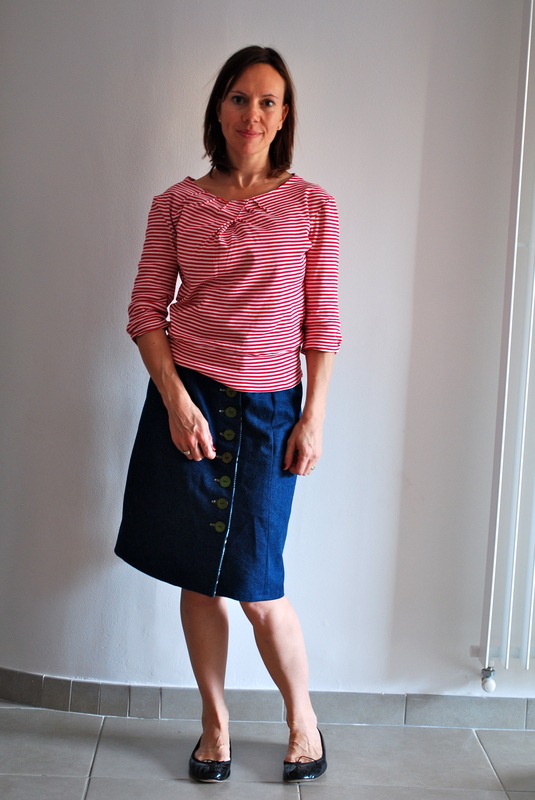 At the beginning of the year I, belatedly, joined in the trouser sew along hosted on the (then) Cupcake Goddess’ blog. These were the first proper pair of trousers (by which I mean not drawstring waist ones) I had made and marked a significant step in my sewing. I made no less than three muslins for the trousers and finally finished them towards the end of March (seen below with a Liberty blouse made in June). Luckily I finished the trousers whilst I was still able to do them up and I then set to making things that I would be able to fit into over the summer. 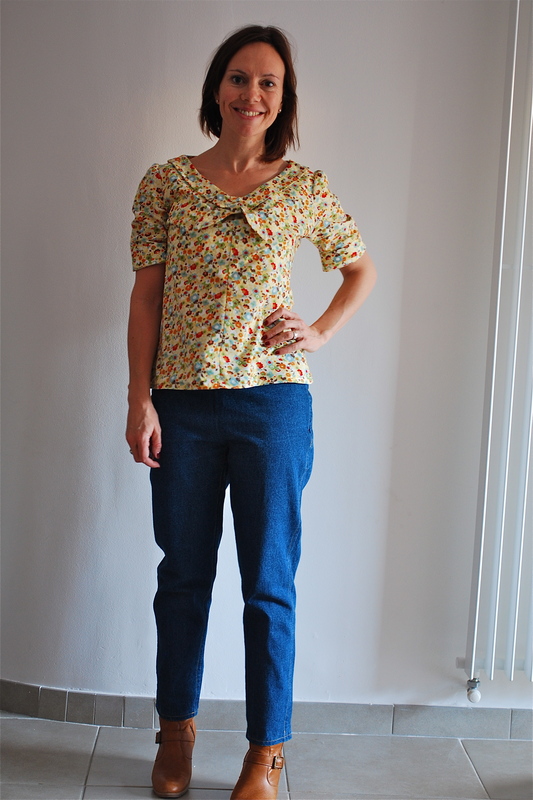 I made a couple of these tops using a burda magazine pattern. And a handful of Sobrettos, or variations of, as well as a trio of shorts using the Burda Ruby pattern. In amongst all of this I made various jersey tops to encompass my expanding bump and an assortment of smock dresses. Most of the rest of the maternity wear can be seen by clicking here. I will just include two of the dresses here – the Crepe adapted dress (seen above) and the Opera dress (below) as they are the two that I spent the most effort on to finish properly and get a decent fit – and they are the two that I felt the nicest in – they became my go-to outfits for every and any occasion and received the most compliments. Finally, to finish up the year I created a capsule Late Fall wardrobe. Looking back over this year has been a bit of revelation – I hadn’t realised quite how much I had achieved and being of a disposition that tends to concentrate on the things that I haven’t managed to do it was good to spend time looking and reflecting on what I had done. Apart from the quantity of items sewn this year, which was more substantial that I had realised, I have successfully sewn trousers which this time last year would have seemed very daunting and I have gained experience adapting patterns to achieve a better fit and to achieve the kind of garment that I want. I am also now a convert to the ‘planning’ and ‘fitting’ school of sewing which I accept might mean less items sewn up and finished in the future but should result in more items that I will wear day in and day out and that have a better fit. Here’s to planning and fitting – Happy New Year! I’m going to take you back to a couple of days before Christmas. You have a ‘to do’ list a mile long…four lots of stocking presents to sort and wrap…cranberry sauce bubbling over simmering on the stove…egg whites whipping for meringues…chocolate burning in the microwave and ten tonnes of vegetables to be chopped for soup….what do you do? A sane person would probably halt everything, make a cup of tea, prioritize the things on the list and work through the cooking projects one at a time to stop sheer carnage. What did I do? Got out the stepladders, pulled out the black and white wool fabric I had stashed on the top shelf of the cupboard as I wouldn’t be needing it soon (! ), got out the Crepe pattern to adapt (yes, you read that right) and set to work. I mean, Christmas isn’t Christmas without a new dress, is it?? Unfortunately, in terms of this being a new dress for Christmas, this is where I got to. The bodice is done, the skirt is attached but the button fastenings need sewing on and it needs hemming and time ran out. But, hopefully it will be done for New Year….watch this space! Following on from the Late Fall Challenge posts here is a little gallery of the items I made being worn and how they work together. If you are on the ball you will also notice a couple of additional items that have sneaked in…..the first and second Beignets (in pink and purple) and my bonus Late Fall Challenge item – a grey shirt dress with yellow buttons. I’ll do a separate post about the dress soon with more details.